Robust data, analytics, and reporting tool powered by an industry-specific client data platform. SalesPage’s multi-tier data structure allows you to manage, report on, and analyze data related to important entities in all of your distribution channels. In the intermediary channel, for example, SalesPage reconciles and displays data at the Rep, Office, Firm, and Master Firm levels as well as providing rollups for Partnership and Team levels. Whether you want to see year-to-date sales at an office or within a team of reps, you can easily visualize this in SalesPage, and then use this knowledge to take intelligent action. SalesPage summarizes sales to each client’s specific requirements. This ensures that you have the information you need, at the connection levels you need, so that you can more effectively manage distribution efforts. SalesPage’s reporting capabilities improve your ability to target and serve the reps or advisors in each territory. In addition to displaying sales summaries at the firm, office, and rep profiles, dashboards provide critical summaries such as top reps, partnerships, teams, funds, and territories. 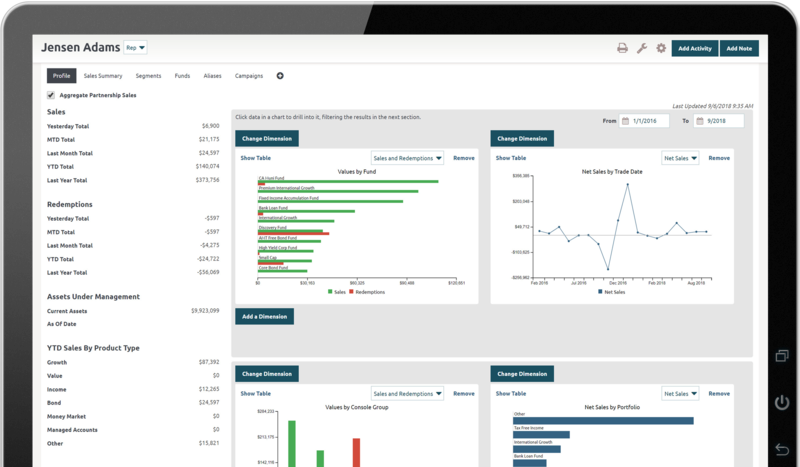 Visualizing data through a third-party tool, a report, a dashboard, or analyzing data on-the-fly—it’s all possible with SalesPage. From viewing a prospect’s profile to using that data to segment and target, SalesPage makes your time more profitable. You’re able to quickly see who you should be spending your time with, so you can take the time to educate them about the products that best fit their needs. 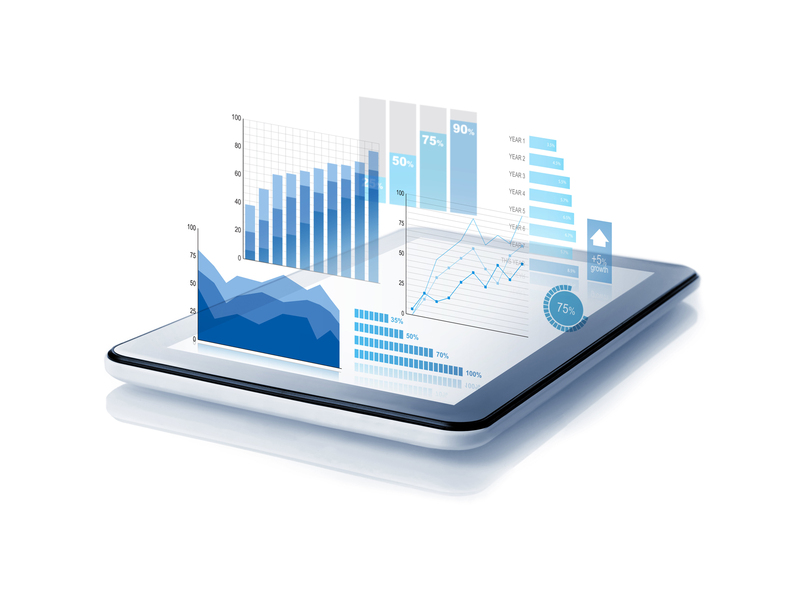 While SalesPage includes tools to help you report, analyze and visualize data, we can also integrate with your existing enterprise reporting and analytics, providing the entire organization with insights from all of the distribution data that resides in the SalesPage client data platform. Need help integrating your data?